The Who's Pete Townshend once noted that rock will not solve your problems, but it will let you dance all over them. Not to dispute an elder pop statesman, but if Townshend replaced "rock" with "salsa," his quote would hit closer to the mark. Vigorous and sensuous, salsa is the Pan-American music of liberation and free expression. A fusion of Cuban dance staples like son and bolero, spiced with Puerto Rican bomba, Dominican merengue, Colombian cumbia and Latin jazz, rock and soul, salsa is energized, exhilarating and uniquely American. Here in the Queen City, people love to listen to salsa and dance to its addictive rhythms at clubs like LaTorres and Cosmos, and on March 14, salsa legend Oscar D'Leon will shake the Fillmore to its foundations. Affectionately known as "The Lion of Salsa," composer, vocalist and band leader Oscar D'Leon caught the salsa bug in the late 1970s and became a sensation in his native Venezuela. By the 1980s, D'Leon had perfected the popular salsa romantica style, which draws on traditional ballads and Cuban big bands of the 1940s and '50s. Playing professionally for almost 40 years, D'Leon dominates the salsa world with his honeyed vocals and warm, trombone-led arrangements. The Grammy nominee has seen his popularity sweep through the U.S., Japan and Europe, where he became the first Latin act to sign a contract with the BBC. Critic and salsa devotee George De Stefano has praised D'Leon's incredible stage presence, adding that the band leader "transcends and transforms his influences through the force of his ... irrepressible energy." Thanks to D'Leon and other saleros like him, many have fallen under salsa's hip-shaking spell, but far fewer know the genre's rich history. More than a dance or a sound, salsa is an uplifting declaration of cultural equality, the great American melting pot simmering to a sinuous beat. New York City in the late 1960s and early 1970s — crime-ridden, broke and decaying — seems hardly the time or place to nurture such joyous music, but the rotting Big Apple was the crucible of salsa. Where some in New York's Latino community saw arson-scarred dead-end barrios, key musicians and composers realized that the city's collapsing infrastructure also promised freedom by removing cultural boundaries. In his book, Love Goes to Buildings on Fire, music critic Will Hermes documents the rise and cross-pollination of musical genres unique to '70s New York City. The city's threadbare resources inspired a go-for-broke exuberance in the arts community, an attitude that fueled the malleable music scene that spawned punk, disco, hip-hop and salsa. Still, even Hermes notes that salsa's bloodline predates this key time frame. As far back as 1933, the Cuban song "Echale Salsa" used the term "salsa" to describe upbeat Latin dance music. The term spread to the West Coast, where jazz musicians used it to describe hot Latin jams, and by 1973 salsa was a catch-all brand name for any new Latin music. Certainly, older forms of Latin music preceded salsa in New York City. The Dominican Johnny Pacheco promoted a mix of Cuban guaracha, son and danzón with his label, Fania Records, in 1963. Popularized by "Nuyoricans," New Yorkers of Puerto Rican descent, salsa upped Pacheco's ante with an energetic yet hypnotic mix of Cuban music and American funk, soul and R&B. Charismatic and inspired band leaders like Eddie Palmieri and Willie Colón ensured that salsa became an unwieldy but magnificent beast. Ever-changing and impossible to pin down, salsa cross-fertilized its core Caribbean-American hybrid with everything from the burgeoning disco culture to acid rock to New York's avant-garde jazz scene. Propulsive and shape-shifting, salsa spread to Latin America, where it was promoted by its greatest ambassador, Cuban vocalist Celia Cruz, the effusive Queen of Salsa. If New York was the cauldron where salsa bubbled to the surface, Latin America was the flash point where the musical genre spread like wildfire. While New York was salsa's birth mother, Venezuela helped raise it. Eager for fresh audiences, America's salsa industry sent stars like Rubén Blades on tour to Caracas. U.S. talent like Cruz and Colón were key influences on Venezuelan artists, including budding musician and composer Oscar D'Leon, but they were not the only ones. In the 1970s, Venezuela was at the forefront of breaking the trade embargo against Cuba. As a result, Cuban bands that couldn't play anywhere else flocked to Caracas. At the same time, the Venezuelan government mounted efforts to preserve the country's folklore and Afro-Latin roots. 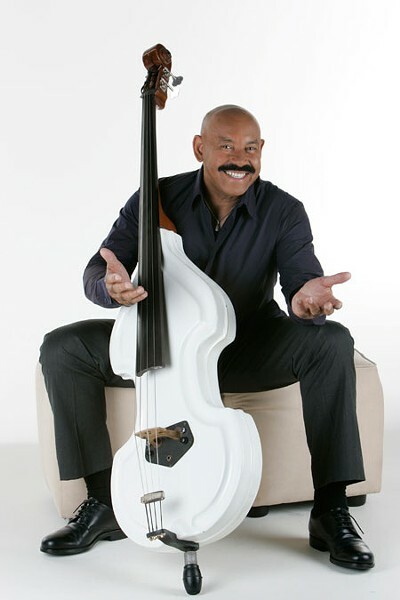 Drawing inspiration from salsa's Cuban and Caribbean roots, as well as the dynamics of New York's top orchestras, D'Leon ditched his day jobs as factory worker and cabdriver and taught himself to play the upright bass. Not only did D'Leon excel at his chosen instrument, he soon became an extraordinary showman, singing and playing while dancing around the double bass with balletic ease. D'Leon also developed as a deft sonero (vocal improviser), soon surpassing Havana's masters of extemporized melodies. Indeed, D'Leon's band has been known to lock into lengthy dreamlike circular grooves while the supreme salsero makes up entire songs from scratch. Honing his chops in various orchestras, D'Leon went solo, forming his own bands. Claiming that he got tired of "opening the [bass] case at baggage claim ... only to find it reduced to toothpicks," D'Leon quit playing bass onstage, concentrating on his role as band leader. While his 1982 visit to Cuba was seen as a major cultural event throughout Latin America, D'Leon generally eschewed politics, saying his message was "simply that people have a good time and remember me as someone who loves them." The only exception D'Leon makes to his "no politics" rule is his tireless activism on behalf of Colombia's "desplazados," people displaced by guerrillas, the government or paramilitaries. Nowadays, traveling with as many as 19 players, D'Leon dominates the stage with his current instrument, a still-supple voice that ranges from lithe tenor to a gruff, traditionally Cuban voj de vieja (old woman's voice). D'Leon is nearing 70 and has been slowed by heart attacks in 2003 and 2009, but it seems there is little that can keep the old lion down. With impeccable showmanship and deep respect for the music's history, The Lion of Salsa reels off dance-floor classics. These timeless songs reach past the 1970s Bronx battle zones of salsa's birth, past the 1930s compositions that name check the then-nascent genre, all the way back to the folkloric rhythms that still bring people together whenever they dance all over the troubles of the world.